We offer the premium Rhodamine B, made up of the finest chemical compounds. The highly soluble Rhodamine B 500% serves various applications and only a little quantity can impart rich, long lasting color. The Rhodamine B is offered by us in a wide range and at very economical prices for the clients. 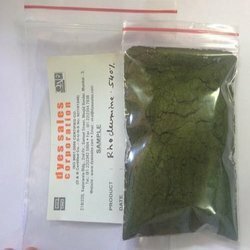 We are leading supplier of Rhodamine B Dye. Rhodamine dyes that we are offering is highly soluble in water, methanol & ethanol. These are usually toxic in nature and have wide applications. Rhodamine B is also known as basic violet 10 & is commonly used for dyeing purposes. These dyes are also extensively used in biotechnology applications like fluorescence microscopy. 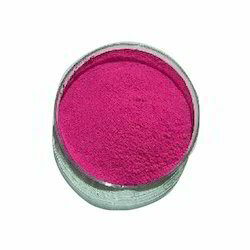 We offer the premium Rhodamine Dyes (Only PInk) , made up of the finest chemical compounds. The highly soluble Rhodamine B 500% serves various applications and only a little quantity can impart rich, long lasting color. The Rhodamine B is offered by us in a wide range and at very economical prices for the clients.